Ahmedabad: Gujarat High Court on Friday granted bail to Patel quota agitation leader Hardik Patel in two sedition cases, with a rider that he will have to stay outside the state for the next six months. 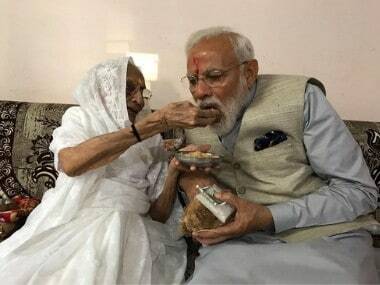 Patel was charged with sedition for destruction of public property and instigating crowds, while leading an extremely violent Patidar rally last year on 25 August in Ahmedabad, against the ruling BJP. He was subsequently arrested and jailed in Surat, reported NDTV. The Patidars, though a traditionally rich community, had been demanding reservation under the OBC quota in Gujarat. The mob had turned violent and torched public transport. 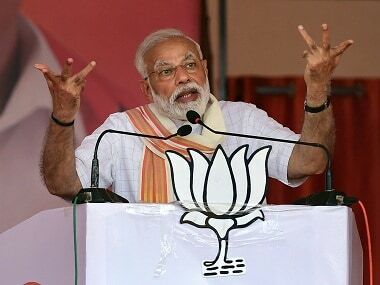 Ten people, including one policeman, were killed and public properties and vehicles worth crores of rupees were damaged across Gujarat. Patel was then known to attend meetings where he flourished a sword, which invariably attracted large crowds, the NDTV report added. However, Hardik cannot come out of jail for now, as another case of mob violence at an MLA office is pending against him in the Visnagar town of Mehsana district. The next hearing of the Visnagar case bail application in the high court is scheduled on 11 July. Justice AJ Desai granted bail to Hardik Patel with strict conditions: one of them being that he will have to stay outside Gujarat for the next six months. The court also directed Hardik's lawyer to give a fresh written undertaking on his behalf, which should state that he would not indulge in any activities that would lead to a law and order problem. The judge, while pronouncing the verdict, said that he has listed other conditions in written order. The 22-year-old Patel quota stir spearhead has been behind bars since October 2015 in sedition cases that were filed against him in Ahmedabad and Surat. 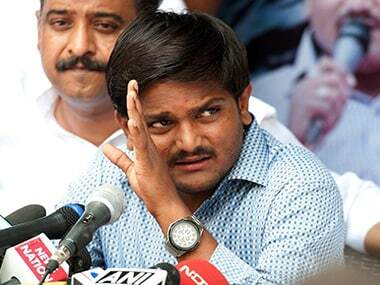 During the hearing of the case, government pleader Mitesh Amin had opposed bail to Hardik saying that the state government is apprehensive if he is let off on bail and that Hardik may repeat the offence, and his presence outside the jail may create law and order situation problems in the state. Hardik's lawyer Zubin Bharda had told the court that his client is ready to stay out of the state for six months if the court grants bail, in order to remove the apprehensions expressed by the state pleader. 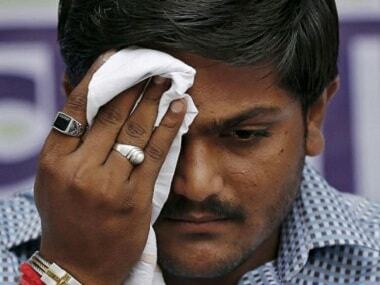 During earlier hearings, the government had declined to accept Hardik's offer for written undertaking for bail, in which he had stated that he will refrain from activities that may affect law and order situation, but added he will "continue to agitate for grievances of the Patidar community in a peaceful and democratic manner." Hardik had approached the high court for bail in the sedition cases, after the lower courts in Surat and Ahmedabad (where there are separate sedition cases against Hardik) refused to grant bail. The Patel leader and his three associates are facing charges under IPC sections 124(A) (sedition), 121 (A) (conspiracy to wage war against government) and 120 (B) (criminal conspiracy) here.